I was already imagining how my blog post would look like. A healthy, easy recipe to share with everyone. 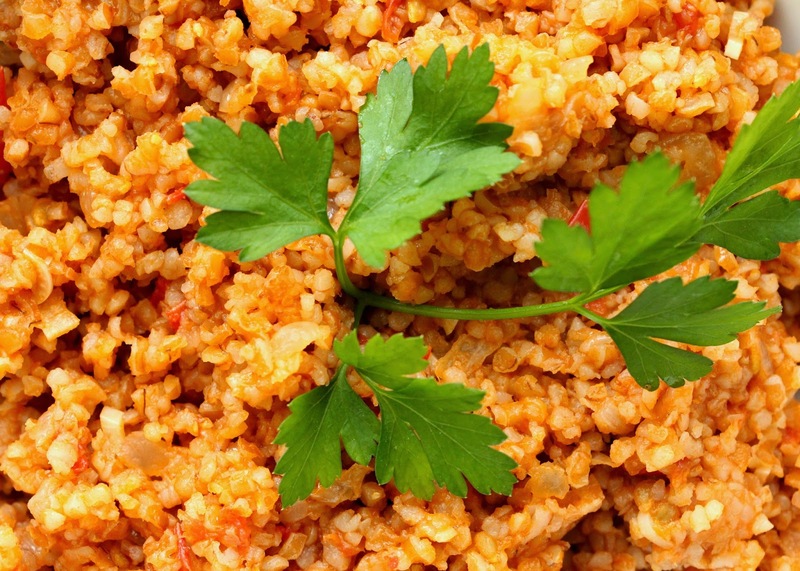 Bulgur wheat with tomato sauce that always, always takes less than 10 minutes to cook. 6 minutes 38 seconds more precisely. I was picturing this mouth dropping salivating photo that would make anyone run to the kitchen to cook this amazing dish. 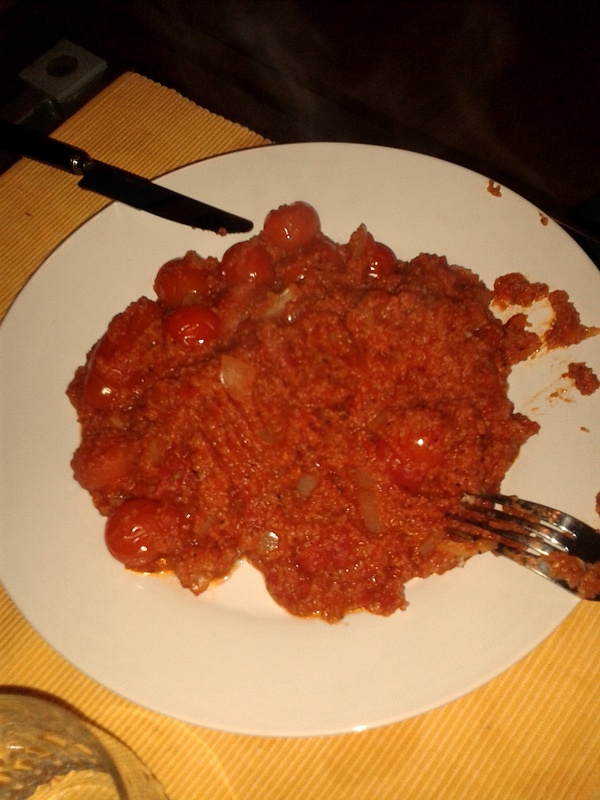 So I’ve decided to scroll into my old mobile phone pictures to find the picture of the first time I’ve done Bulgur wheat with tomato, sharing it with my mum. A little issue. The picture doesn’t look very appetising. Doesn’t look as good as it should. Doesn’t really want to make you run to the kitchen, right? I swear, it was very tasty. It was very easy to do. It did take 6 minutes 38 seconds. It’s healthy. 3. Add half a cup of bulgur wheat. Such a shame the photo doesn’t make this meal justice. I even tried to photoshop the photo to make it look nicer. Not a big success, I must admit. Photoshopped attempt to make it look better. I finally googled Borghol a banadoura (The way it is called in Lebanese). This picture came up. Thanks for Rita, from Cook with Attitude for sharing this picture with the world. She’s the real deal, check her blog on www.cookwithattitude.com. haha thank you Ekhlas! It’s so easy to do as well!! !